If you haven’t already been all over the biggest F&B sale this year, are you even Singaporean?? 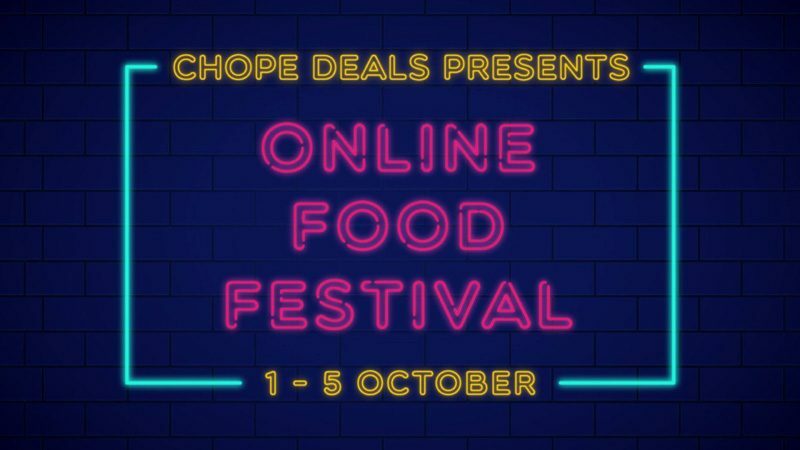 Chope Deals’ Online Food Festival has been in full swing daily since 1 October 2018, and will culminate in an epic Mega Flash Sale on 5 October. It’s been a whirlwind of crazy deals and pretty unbelievable promotions to celebrate the launch of a new segment of Chope, called Chope Deals. Besides making reservations, the game-changing online platform now offers dining deals in the form of vouchers that can be used at over 350 top restaurants in Singapore. Usually, these vouchers will offer you up to 50% off, but during the Online Food Festival, they’ve been going for up to 85% off! And the best is yet to come. Starting at midnight on 5 October, more than 100 dining deals will be released on both the Chope app and website, including S$50 and S$100 cash dining vouchers (offering 30% – 60% off), and S$15 and below set meals/menus (offering 50% – 85% off). Being kiasu definitely pays off, so don’t be ashamed to tell your colleagues not to disturb you in the lead-up to 10am and 5pm on that day, because more special flash deals will be released at those timings! We’re talking about S$10 and S$5 deals to Tsuta and Tim Ho Wan! And if you’ve got a Visa card, it gets even better – the App-xclusive Deal entitles Visa cardholders to an extra S$10 off with a minimum spend of S$50. All you need to do is get on the Chope app, key in the discount code <CHOPEAPPVISA>, pay with your Visa card, and S$10 will magically be deducted from the total amount. Remember what I said about being kiasu? Channel your inner aunty/uncle and get on this deal quick because it’s limited to the first 1000 redemptions only. 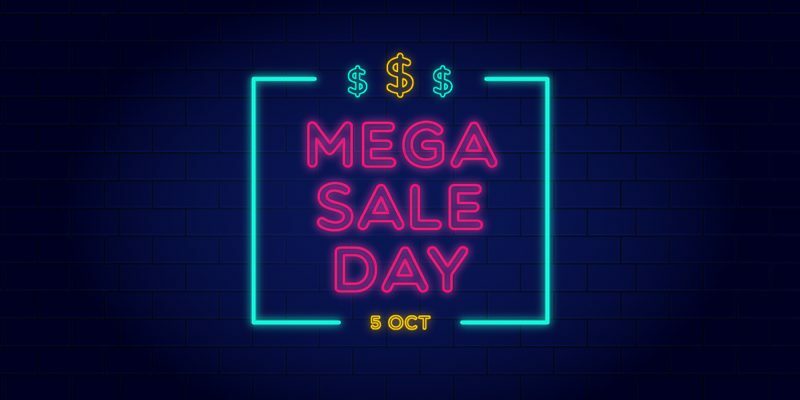 We’ve already set reminders on our phones so we don’t miss out on this Mega Sale Day, but if you need a little more convincing, here are eight epic dining deals to chiong for on 5 October! The world’s finest ingredients take centre stage at Art, which used to be Osteria Art, near Raffles Place. Trust Michelin-star Chef-Restaurateur Beppe De Vito to lead you on a culinary journey of contemporary Italian cuisine through a menu which will excite the palate. Sounds too fancy and a little out of your budget? Don’t let that stop you as Chope Deals will get you S$100 worth of vouchers for only S$70 on 5 October! 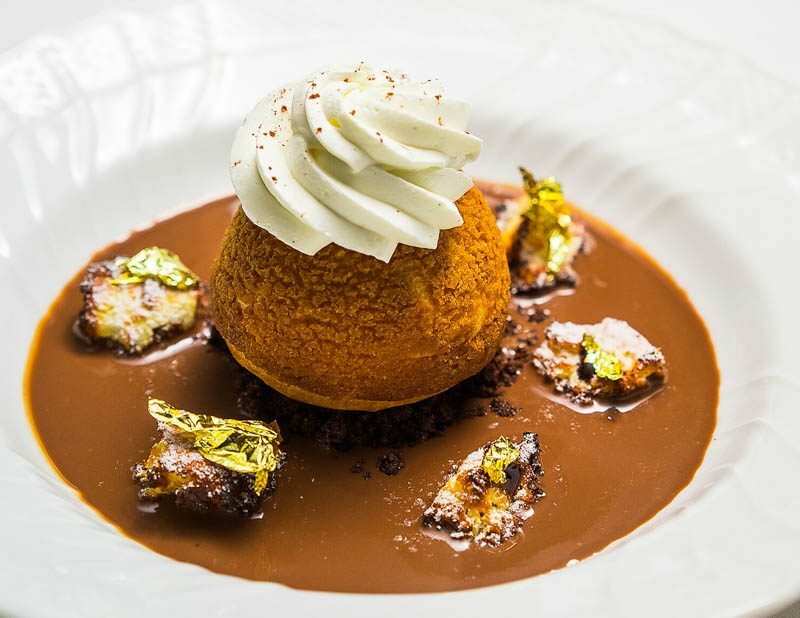 That means that you can easily enjoy some of the beautifully plated a la carte dishes that feature specially-curated and delicious flavour combinations, like this Chocolate & Coffee Profiterole (S$15). Indeed, a work of art. Get the deal here on 5 October. Maggie Joan’s is a bit of a hidden gem that’s worth seeking out. Make your way to Amoy Street for innovative Mediterranean dishes that pack a punch and make for a dining experience to remember. 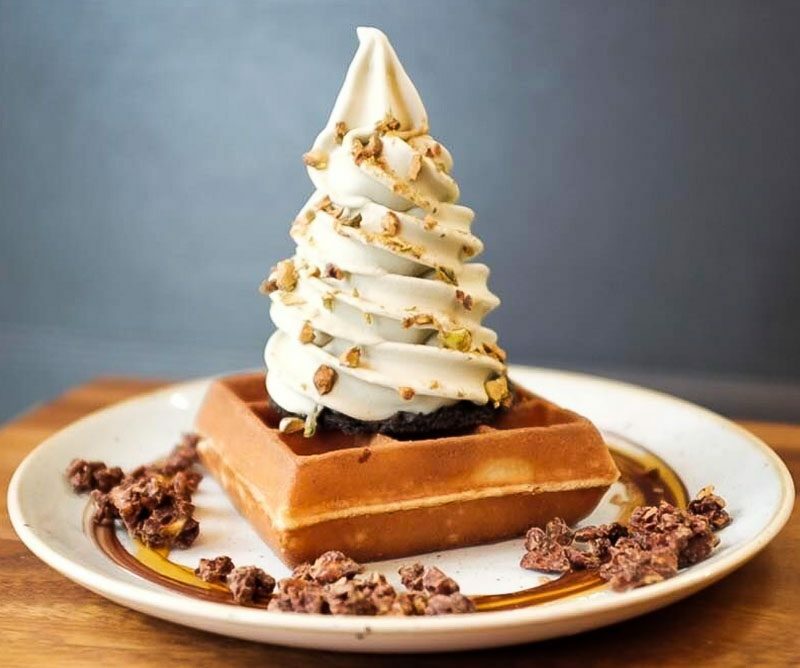 Stay alert during the last day of the Online Food Festival to score epic deals that’ll make your visit to Maggie Joan’s even better: pay S$25 for S$50 worth of vouchers, or S$70 for S$100 worth of vouchers. That’s super value-for-money and means you can enjoy a wider variety of the seasonal dishes available. 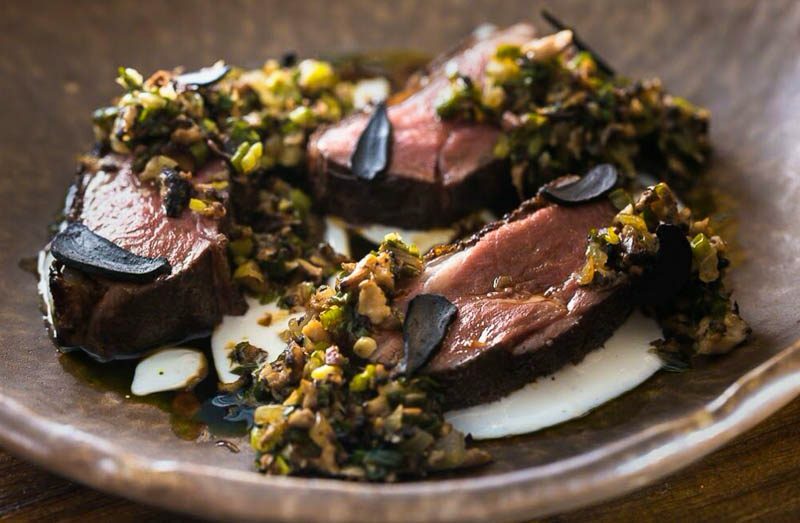 If they’re anything like this beautiful creation of Lamb Loin Black Garlic Shiitake, we’re sold. Another must-visit eatery in Singapore that celebrates Mediterranean flavours is Moosehead Kitchen-Bar in Telok Ayer. The tapas-style dishes boast bold flavours with influences from around the world, best enjoyed with one of the complementary wines on the menu. Fusion cuisine is all the rage in Singapore these days, and we couldn’t help but drool over this Tuna Tartare (S$16) served with creamy avocado and spicy sesame. Enjoy this and more with the special Chope Deal that will get you S$50 worth of vouchers for only S$25, or S$100 worth of vouchers for only S$70. I think I can safely say that Riders Café was one of the pioneers of the “brunch movement” in Singapore, serving up exciting, hearty dishes to hungry Millennials and the like. Located in the heart of Bukit Timah, it’s not that easily accessible but the journey is so worth it once you settle down and dine in what feels like a far cry from urban Singapore. With so many sweet and savoury dishes to choose from on the menu, you’ll be spoilt for choice. 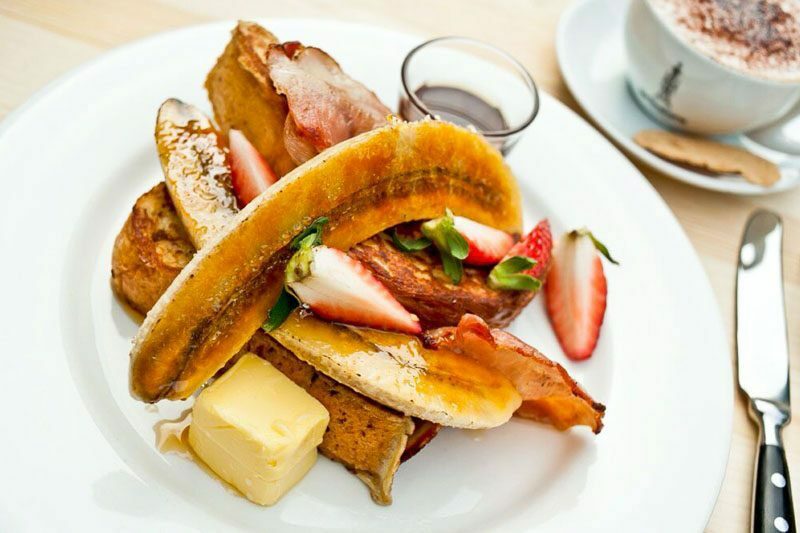 The Brioche French Toast for example, will make you want to get up and head there bright and early; a delicious medley of burnt bananas, honeycomb butter, coconut caramel, and bacon awaits. Dig into this delicious staple and other brunch favourites with Chope Deals’ offer of S$35 for S$50 worth of vouchers during the Online Food Festival. If you’ve been waiting for a reason to make the journey to the West, this is it. Yearning for authentic Sichuan cuisine in Singapore? Si Chuan Dou Hua won’t disappoint with its longstanding reputation of offering the true flavours of this province, concocted by experienced and native chefs. The popular chain also serves up Cantonese dishes and Dim Sum, making it the perfect place for your next family gathering. Getting the family altogether for a nice meal doesn’t have to break the bank, so make sure you get the special Chope Deal before you head down. Pay only S$25 for S$50 worth of vouchers, or S$70 for S$100 worth of vouchers valid at the outlet in UOB Plaza. 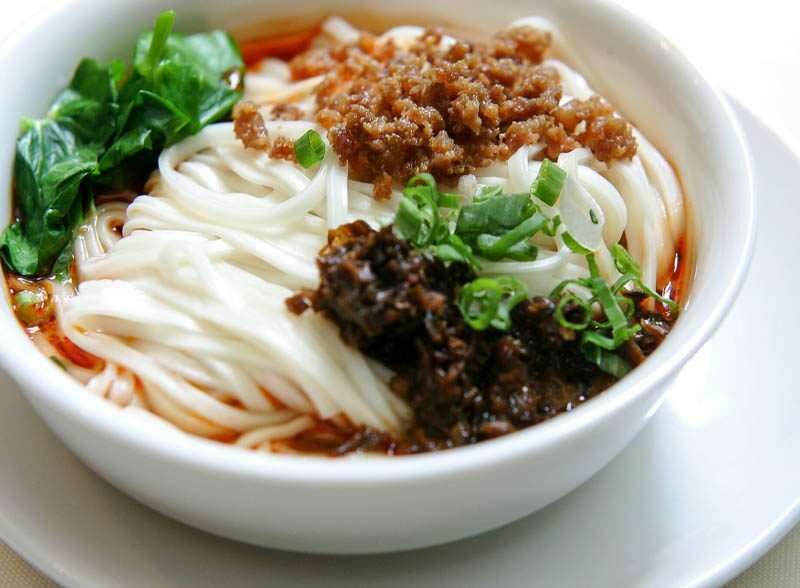 With that, you can order plenty of the signature dishes, like a steaming bowl of Sichuan Dan Dan Noodle (S$8) which you will probably want to enjoy all to yourself. 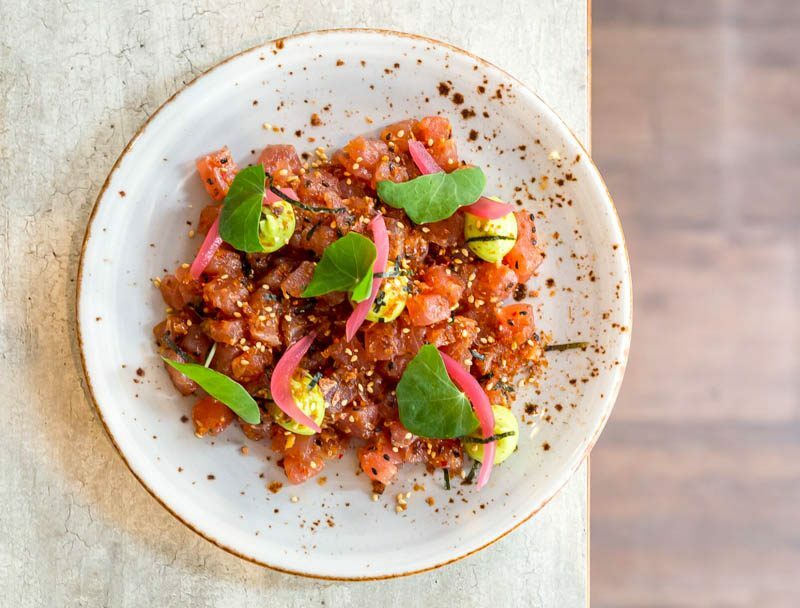 After debuting delicious poke bowls which were a hit with the masses, it wasn’t long before A Poke Theory opened a sister concept called Alter Ego. While still offering healthy bowls of raw sashimi goodness, Alter Ego focuses more on the darker, more sinful side of food. 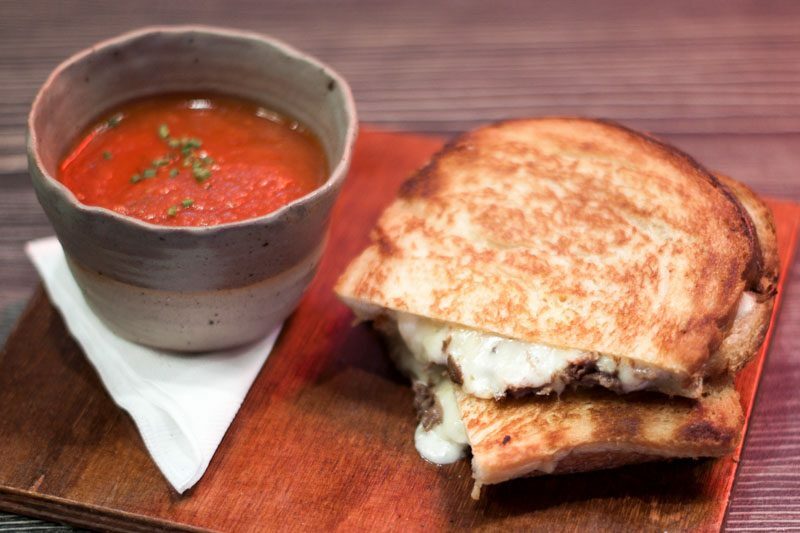 We couldn’t get enough of the Braised Shortrib Grilled Cheese (S$16) when we were there, served with a side of homemade tomato dip. The medley of gruyere and taleggio was #cheesegoals, and definitely not for someone counting calories (not that we’re complaining). Indulge yourself with this dish and more sinful bites by getting the Chope Deal of S$25 for S$50 worth of vouchers, or S$70 for S$100 worth of vouchers. Go on, treat yourself. 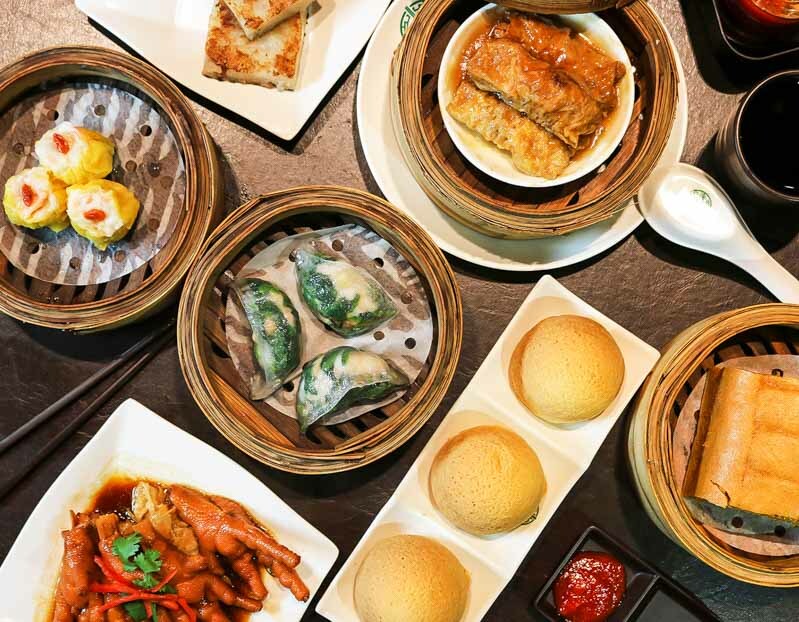 Tim Ho Wan is no stranger to the Dim Sum scene in Singapore, and is the go-to spot for authentic flavours of Hong Kong. The award-winning chain has indeed made a name for itself with the iconic and delicious Baked Bun with BBQ Pork (S$7.80), a must-order when you visit. Dim Sum is all about sharing, so grab your makan kakis and head down to the outlet at Plaza Singapura to enjoy the Chope Deals offer of S$9 for S$20 worth of off-peak vouchers, when you dine between 2.30pm to 5pm, Mondays to Fridays. That’s more than 50% off! Order the famous pork buns as well as the other signature dishes like the Steamed Egg Cake (S$5.80), Beancurd Skin with Pork & Shrimp (S$6.80), and Pan Fried Carrot Cake (S$6) when you’re there. You’ll be happy to know that all the Dim Sum at Tim Ho Wan is made-to-order, so it’s as fresh as can be when served. What’s so great about Sundays? You can sleep in, slowly wake up and then spend the rest of your day nomming on excellent cafe fare. That’s what Sunday Folks near Holland Village is all about, and you’ve probably already seen some of the super Insta-worthy handcrafted desserts making their rounds on social media. Try some of the many cakes and sweet creations when you’re there, but you can’t leave without ordering the Ice Cream on Waffles. Choose from an assortment of ice cream flavours and toppings, and make sure you get a picture of the signature soft serve swirl. Keep an eye out on the Mega Sale Day to grab the Chope Deal of S$14 for S$20 worth of vouchers to make your Sunday even sweeter.